but I will give you ample advance notice. 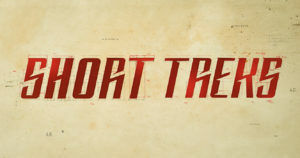 Going in, I wasn’t certain what to make of the first of CBS All Access’ SHORT TREKS, four “mini-episodes” of Star Trek to be released once a month leading up to the January premiere of season two of the Discovery series. I’ll be honest, part of me was ready to hate it. It’s no secret that I was mostly disappointed and frustrated with nearly every episode of Star Trek: Discovery‘s first season. And these Short Treks seemed to be just a way to “lure” fans into paying extra money to CBS not for 4 or 5 hours of new Trek episodes each month but for only 10 or 15 MINUTES of these brief vignettes. Adding insult to injury for Trek fans outside of the U.S. and Canada (which are getting to see these four short films on the subscription services All Access and Space, respectively), Netflix has decided NOT to offer Short Treks…at least for now. TrekMovie has some theories as to why (which you can read here), but basically, CBS offered and Netflix passed, as the latter service is more geared toward binge-watching behavior and accepts short films in batched packages, not one at a time. So Short Treks was carrying a lot of baggage right out of the starting gate, for me and others. Some fans have even been suggesting recently that CBS ripped off the concept of a short stand-alone vignette from fan films themselves. To them, I say: so did Battlestar Galactica with “The Resistance” in 2006, “The Face of the Enemy” in 2008, and “Blood and Chrome” in 2011. The Walking Dead has done numerous short-film webisodes also. In other words, just because CBS had the idea to make mini-episodes, that doesn’t mean they “stole” the idea from fans…or from Syfy or AMC. Sometimes a good idea is just a good idea. But to me, at least, the first Short Trek, an episode entitled “Runaway” which debuted October 4, felt a lot like a fan film…especially now that CBS’s guidelines are limiting the run-time of Trek fan films to no more than 15 minutes. The question is, though, is that a good thing or a bad thing? It wasn’t “big” in any way other than an opening VFX scene that probably blew 50% of the budget in the first 25 seconds. But I’ll grant it was an excellent sequence (although a bit video game-ish in places). In all other ways, though, it was “small”—using only four sets and featuring just three actors with speaking roles (plus voice-overs and a handful of extras). One of the actors had some alien make-up, but unlike the over-elaborate Klingons, this time it was more reminiscent of the simple forehead prosthetic, face-painting, and strange hands seen on TNG, DS9, VOY, and ENT. Add in a few CGI effects of the alien vanishing and showing some retractable spikes, and this episode wasn’t a particularly deep hit in the production pocketbook. One of my biggest complaints about season one of Discovery was the lack of character development, along with a general absence of banter between characters to both lighten the mood and draw me into caring about these folks in the shiny disco uniforms. But limiting Short Treks to only two or three characters in a limited number of settings forces the writers (potentially) to rely on the characters TALKING rather than DOING…and that’s where “Runaway” succeeded in a big way. This was a Tilly story, plain and simple. We all knew that going in from both the trailer and from the description given at San Diego Comic Con that the first episode would focus on Tilly, another episode on Saru, and one on Harry Mudd. But this one’s not a big spoiler. In this short film, Tilly is now part of the Starfleet Command Training Program and is having her doubts…thanks in no small part to a mother who might (by necessity of the plot) be a little too two-dimensionally over-protective and discouraging of her daughter. But quickly, Tilly is thrust into a situation where she needs to make split-second decisions, and ultimately makes ones that work out in the end. Granted, not one of them is a decision that I would have made were I in Starfleet and wanted to keep my captain apprised of any potential threat to the ship. But this is Tilly, and if she’d reacted in the way I’d imagine a competent, responsible ensign would/could/should have, we wouldn’t have an enjoyable little humorous romp that kept me entertained (mostly) for 13 minutes and 20 seconds. And I will tell you that the humor made this work. 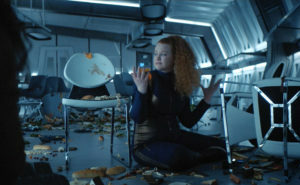 We know Tilly; she’s the self-deprecating, sarcastic one on the crew whom many of us likely identify with. She’s unsure of herself and her abilities. She struggles with her weight while trying to fit into skin-tight uniforms that are unforgiving to anyone not ultra-slim. How many of us fans have that same problem? She makes mistakes, but she tries really hard, and her heart is always in the right place. And this episode is all about showing that. It also takes Tilly on a journey from insecurity to confidence (albeit an incredibly fast one), and the measure of most good stories is character development. In this way, I think this brief vignette did more to define the character of Ensign Sylvia Tilly than nearly all 13 episodes of season one where she appeared. 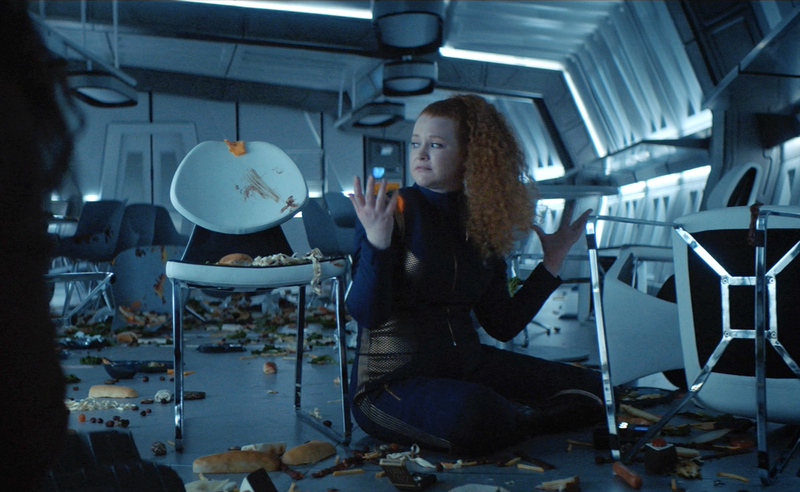 And kudos to actor MARY WISEMAN for knowing her character well enough to keep things interesting and compelling through an episode that is made up, primarily, of just Tilly talking to herself, to the computer, or to one or another character at a time. I do love fan films, but I have no illusions that the writing of most fan stories typically reaches top-level quality. All too often, rookie fan writers make certain assumptions about what might be “obvious” to the viewer and create scenes that either are unbelievable/improbable, not well-developed, or just plain sloppy. Hey, not everyone is Bill Shakespeare! Okay, this time, the spoiling is a little more significant. So seriously, stop reading now if you want to go into this one completely cold…. The “runaway” is teenager from an alien civilization that just became warp-capable. The kid is brilliant but has an aggressive and arrogant attitude (did I mention…teenager?). But initially, Tilly doesn’t know any of this. So, the first problem for me is that, when Tilly first discovers there’s an intruder on board who can turn invisible and can screw up the computers, she doesn’t call the captain or security. Instead, she dodges food flying out of the dispensers in the mess hall…turning it into a literal MESS hall. Now, I get it: we need a story, and this is it. No one will ever know what Tilly did for this alien because the plot resolves in a way that’s completely off the Discovery crew’s radar. Except for the mess in the mess. Once back in Tilly’s quarters, we discover that this alien’s race was born at the same time as their planet. Now, that’s not really possible, since planets need to cool down first from a molten state, a process that takes a billion years or so. And to the writers’ credit, Tilly mentions this. But she quickly lets it go because the plot needs this little detail to be true. So please accept the impossible, dear viewer. Well, okay…just this once. But remember that I already let things slide with that hormonal rabbit! And then Tilly beams the kid off the ship. Happy ending. The kid must have escaped from a planet they were orbiting. Tilly wasn’t aware what planet they were orbiting, as she didn’t immediately recognize the alien’s species when she first saw her. A planet that only just became warp-capable is already trading with the Federation. For some reason, the Discovery hasn’t left orbit yet. Tilly can use the transporter without anyone else on the ship knowing about it (’cause she’s such a genius?). Actually, all of these are things I can live with, so no rotten tomato rating…unless these assumptions are not all true and Tilly is beaming the kid light-years away back to her planet just like they do in the Kelvin-verse Trek movies because transporters have a range of infinity these days. So I choose to believe six improbable things instead of one very annoying impossible thing in the (ahem) “prime” timeline. 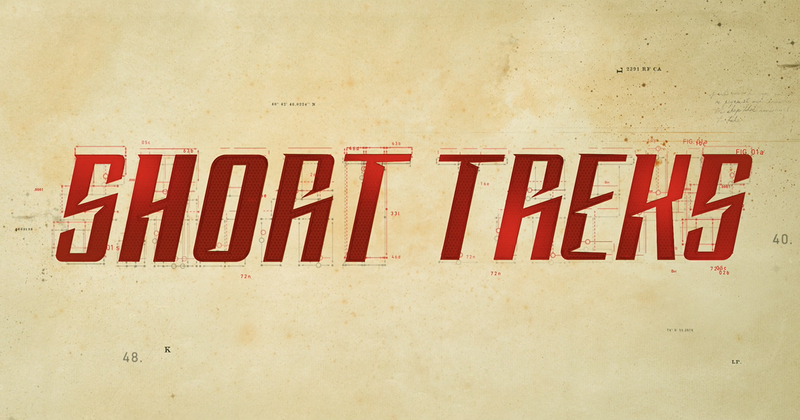 Anyway, that’s my justification for saying this Short Treks format is both good and bad. I actually did enjoy watching this little mini-episode. 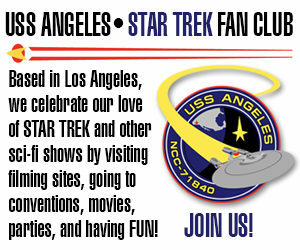 It felt more Star Trekky than nearly all of season one, albeit a humorous Trek episode. But much as I do with many fan films, I needed to give “Runaway” a lot of leash. So, is it worth the six bucks per month (if you’re in America) to subscribe to All Access to see these Short Treks when they come out? In my opinion, no, not at all. Unless, like the friend I watched it with on Sunday, you’re already subscribed to All Access for the NFL or other shows, spending that much for 15 minutes worth of Star Trek isn’t really a justifiable expense. If you’re planning (like me) to re-subscribe when Discovery starts up again in January, there’s no reason not to wait. These mini-episodes will still be there in four more months, and you can binge-watch all four in less than an hour before watching the season premiere. In summary, an acceptable offering from CBS…and proof that yes, you can tell a decent fan film story in 15 minutes or less. And as an alternative to sitting through a full hour episode (with commercials), it’s a nice change of pace. But the limited format does have certain drawbacks. While Short Treks allow for some nice deep-diving into certain characters, the abbreviated duration also forces the creators to leave some important things out to get the story completed in time. If the writers can master finding some balance between the two, then I’m all for them producing more of these things. It was bogus Tilly did not run out & report the flying food. The breakfast shift did not get angry when they saw the mess. Tilly was not dressed down by a captain/other superior for not reporting it. That was a nice effort and proves that Star Trek is at its best when it not comes down to VFX and action, but characters, morality plays, etc. About the transporter ending, I kind of pictured it continuing like this: Tilly skips away all happy and bubbly and positively convinced she’s beamed home the alien really far. Meanwhile, somewhere out in space there’s a dead alien with a surprised look on her face floating through space. Television and the viewers are not what they used to be. Way, way back in the day the viewing audience did not care about the The Beave’s grandparents, Dr. Welby’s home life, or the Fonz’s siblings. They cared about being entertained. That was episodic, prime time T.V. and that is the way they liked it. There was no room for character development, just action,drama, humor unless you were working on one of those daytime Soaps, then character development primarily consisted of who’s zooming who this month. Also back in those days, prime time T.V. shows were usually only 30 mins. long (minus commercials that made for about a 20 min episode) and even after they went to the 60 min. format, episodes still had very little in the way of character development. Today, they do a better job with C-D but it most often gets the B plot of the episode, unless you are working with/for RDM, who is very much about character development and makes the action an intregal part of the setting rather than the story. Unfortunately SciFi really gets the short end of this because TPTB believe that SciFi fans are of unhygienic, nerds living in our parent’s basements and all we want is sleek ships, hot chicks, laser beams, and a new alien every week. >and all we want is sleek ships, hot chicks, laser beams, and a new alien every week. Jonathon, I’m surprised at you – “hamstrung”, definitely hamstrung! A comment without seeing the episode has questionable merit, but for what it’s worth: you were more or less content to let pass a significant list of flaws in the story-line. There are many examples of short Fan films where the script works well without asking the viewer to make so many compromises, so surely (“don’t call me Shirley”) we should expect no less from professionals? And it was VERY early in the morning when I wrote that – my excuse for misspelling your name; apologies. If they believe a magic space gerbil, they’ll go for a hormonal rabbit! Based on the mess in the mess, I would more easily have believed a Tasmanian Devil. Bug Bunny would never done done that. I look at it this way. CBS Paramount lowered the boom on fan films putting great deal restrictions on the use of very popular names of characters items and or similar to their of. The majority of these fan films before these rules were quite good. Yet they decide to make one of their own and it fell so short how ironic. Someone needs to look up the definition of a Fan Film. Even though it’s a mini episode, short, whatever, it’s still made by the production team that makes the regular episodes. Sets, actors, writers, whatever. Totally anti- the definition of a Fan Film. You’d think you’d know that but I guess you were too busy somehow trying to work in a slam against the network for the guidelines. You as much as say that in one paragraph, then immediately back track in the next. Playing to both sides much? I know this a little off this subject, but I just read the Oct. 9 post about the Kingsland open house. I really appreciate your putting this information out. Thank you very much. Now back to the subject at land. One more thing. I just saw an interesting fan film called the fall of starbase one. Very well done in my opinion. Do you know anything more about it and the people who made it? I just happened upon it by chance. Previous Previous post: Life after STAR TREK CONTINUES – cast members REUNITE for WHEN THE TRAIN STOPS!